LIMA (Reuters) - Peruvian President Martin Vizcarra swore in an entirely new Cabinet on Monday that was praised by the rightwing opposition as a way to reset the once rocky relations between the executive and legislative branches that helped bring down his predecessor. The new Cabinet, a mix of high-ranking civil servants, politicians and private sector specialists, is led by Prime Minister Cesar Villanueva, an opposition lawmaker who had led efforts to impeach center-right ex-president Pedro Pablo Kuczynski. Kuczynski’s 20 months in office had been marked by clashes with Congress and the rightwing party Popular Force that controls a majority of seats. Kuczynski resigned mired in vote-buying and graft scandals on the eve of the impeachment vote last month, and Vizcarra, his vice president, promised a clean slate when he replaced him. So far, Popular Force lawmakers appear happy with the changes, especially Villanueva, a twice-elected former governor of an Amazonian region who earned a reputation in Congress as a bridge builder. “I think he has the right experience to be the prime minister the country needs right now,” said Rosa Maria Bartra, a Popular Force lawmaker. In a ceremony at the presidential palace, Vizcarra also swore in a former local manager for mining company Nexa Resources, Francisco Ismodes, as energy and mines minister and a former director of Latin America’s CAF development bank, David Tuesta, as finance minister. Tuesta, who had also worked as chief economist for BBVA Research, will be Peru’s third finance minister in the past year. He will take the reins of one of Latin America’s most promising markets and the world’s No. 2 copper producer as the central bank has called for the new government to restore fiscal sustainability by avoiding unnecessary spending. Vizcarra has yet to announce any policy proposals, but no major changes to Peru’s economic model are expected. 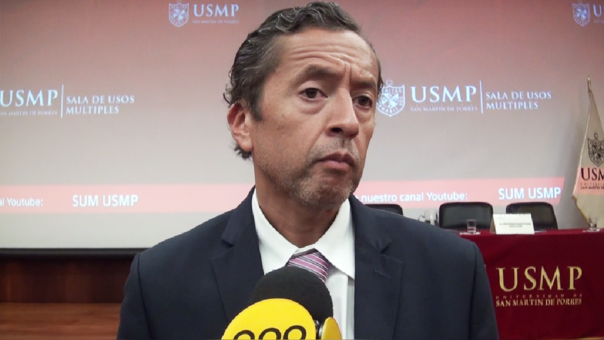 Tuesta es egresado de la Pontificia Universidad Católica del Perú, magister en relaciones públicas por la Universidad de Minnesota, y cuenta con un doctorado en economía. Desde el 2007 hasta el 2013 trabajó como jefe de la división de pensiones del banco BBVA en España y desde el 2013 hasta fines del año pasado pasó al área de inclusión financiera del mismo banco. Antes de su designación era director corporativo de estrategia en la Corporación Andina de Fomento (CAF). David Tuesta received an MA in Public Affairs from the Humphrey School of Public Affairs at the University of Minnesota in 1997. Information send by Dr. Oscar A. Aliaga, MA in Public Affairs (1996) from the Humphrey School and Program Director at National Research Center for Career and Technical Education-University of Louisville, Kentucky and Humphrey School Professor Ragui Assaad.